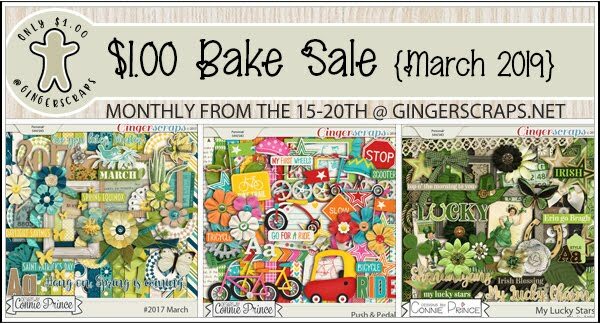 Connie Prince Digital Scrapbooking News: Marvelous Monday sales and a freebie! Marvelous Monday sales and a freebie! We are a couple days away from Spring! Here in Florida, its been in the 80's so we hope the heat doesn't ramp up quickly and we can enjoy the outdoors before the scorching temperatures get here. This week's blog game winner is Carol D., congratulations!! You should have an e-mail from Connie in your email inbox now with your $10 coupon code. Don't forget about Connie's Birthday Sale!! 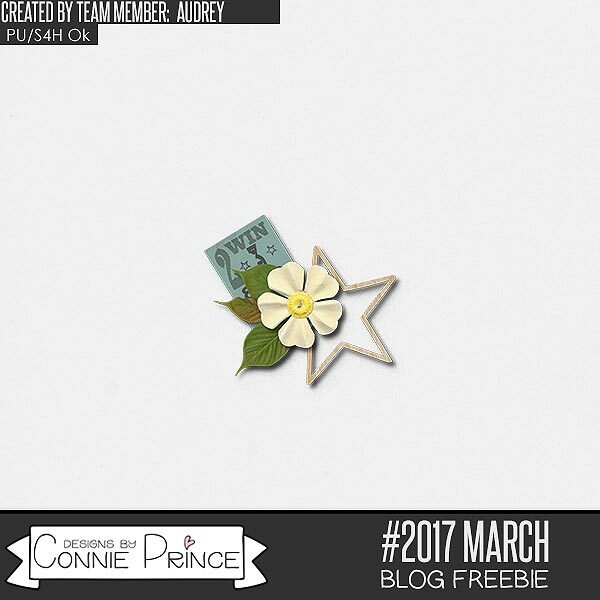 There's a few more days to grab Connie's March Grab Bag!